Don’t become an accountant. Hire one instead. There are plenty of talented accounting firms in Adelaide. They employ the best and brightest in Australia. They are knowledgeable and reliable. 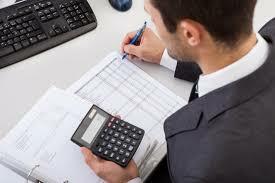 There are several benefits to hiring one of the accounting firms in Adelaide. The first benefit is that you don’t have to do all the work yourself. Accountants can handle the work load including researching documents and organizing invoices for the previous year. Another benefit is that the accountant can prepare a summary of payments, income, and other important details in the proper format and clearly outline the numbers. This is important for presentations and meetings. Read on for more information about this topic. The only thing you need to do as a business owner is provide the information to the accountant. This includes the year’s sales, taxes, salaries, and other revenue-related expenses. The accountant will add and subtract while you spend the week helping customers as usual. At the end of the week, one of the accounting firms in Adelaide will stop by and provide you with an accounting of your business’s finances. If there’s outstanding accounts, it’s time to take action. The best way to do this is to contact the account directly. This can be done when there’s time, but if it’s all ways busy in the office, it’s best to hire an accountant to contact the vendor. They can find out what’s going on and send a bill if necessary. The accountant can also find any missing funds for the year. This can occur for a number of reasons, but the point is that the accountant can research this, instead of the business owner. Since an accounting firm will manage your business’s accounts, the day to day finances should be simple. In fact, there shouldn’t be that many records to maintain over the course of the day. Each sale should be recorded accurately and at the end of the day, the total can be easily found. This is essential for a successful business to thrive. Keeping expenses low is another priority. If there aren’t any planned expenses, then there shouldn’t be any expenditures. The daily financial picture should be simple. Maintaining ledgers is the only real responsibility of the business owner. This should be done daily and after each sale. The easiest way is with a point of sales terminal. You can process transactions and maintain sales records electronically. You can also maintain a paper log that keeps sales information, including the number of sales and the revenue.